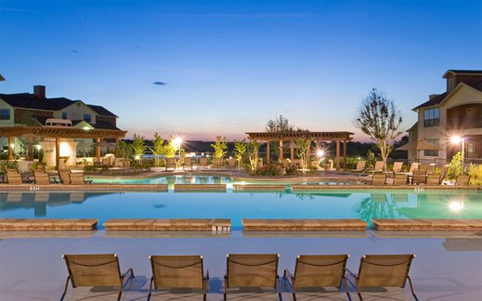 December LPC Featured Community of the Month – The Fairways at Star Ranch near Round Rock, TX! Home is more than just a place for one’s things, a place to sleep and a place to eat. Home is where memories come from, where you can be you, and where rest and renewal happen…relax, you’re home at The Fairways at Star Ranch. This enchanting home on the range is within walking distance to The Golf Club at Star Ranch and offers serene and scenic views of this acclaimed golf facility. As a new resident, you will uncover the desirable amenities this Round Rock apartment community has to offer such as 1, 2 and 3 bedroom home plans designed with unique accents and custom color schemes. The estate homes at The Fairways at Star Ranch offer the space you need and the amenities you want most – home-style kitchens, nine-foot ceilings, deep soaking roman bath tubs, expansive windows, and attached and detached garages. Energy-efficient double-pane windows and ceiling fans will keep you comfortable and cozy in your apartment year ’round. Cool off with a refreshing dip in the 3-tier pool, or just laze the afternoon away on the sundeck. Spend some quiet time in the courtyard, or host a cookout for family and friends with our outside gourmet kitchen grills. Pass the time with games on the putting green, volleyball, and sports court. If health and fitness is what you crave, The Fairways at Star Ranch plays host to a bevy of activities and facilities including yoga, aerobic and weight training. These Round Rock apartments also have the convenience of being only minutes away from Dell, Seton Medical Center, LaFrontera Shopping Center and both tolls 45 and 130. 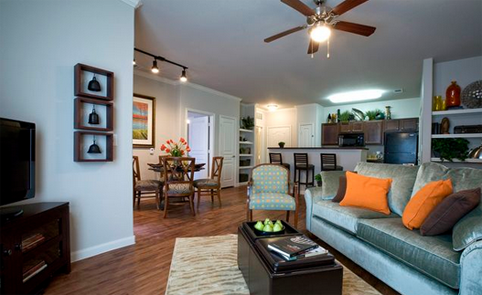 See how easy living can be, when you live at Star Ranch!